Hair Pins Dancewear,Dance Shop, Ballet Shoes, Gymnastic Leotards, Ballroom, Jazz, Tap, Modern. Fine, straight hair pins, ideal for buns. 36 hairpins/packet. Small hairpins are the most used. 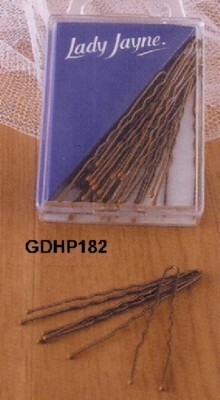 The regular hairpins are much stronger and are usually used for wigs or very thick, heavy hair.